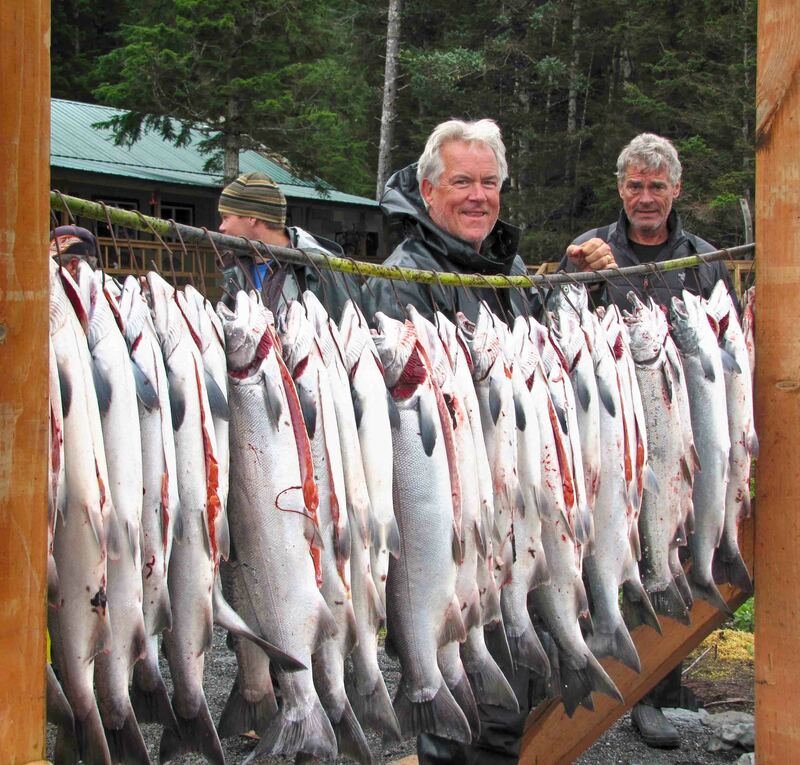 We are the authority on self-guided fishing in Alaska! But with endless choices for accommodations, there seems to be a steady supply of "in town hotels" promoting remote wilderness lodge experiences. 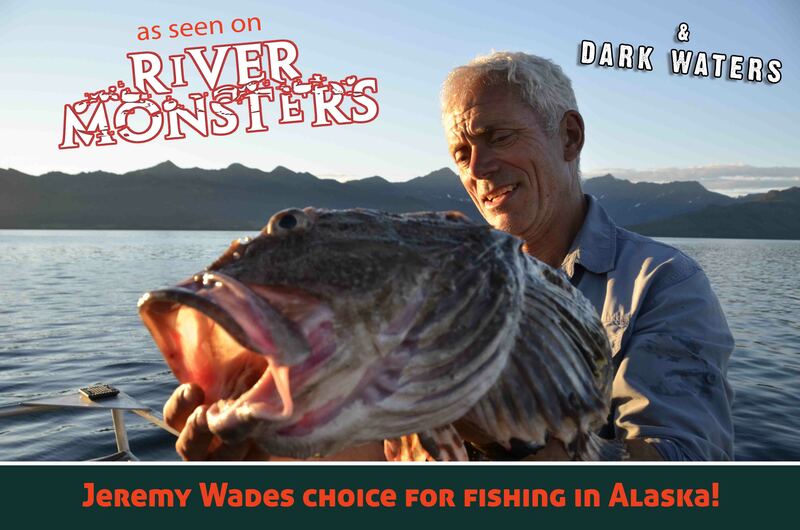 When the reality is that most are located within a city limits or on an interior road system where you have to travel far to get to prime fishing grounds. 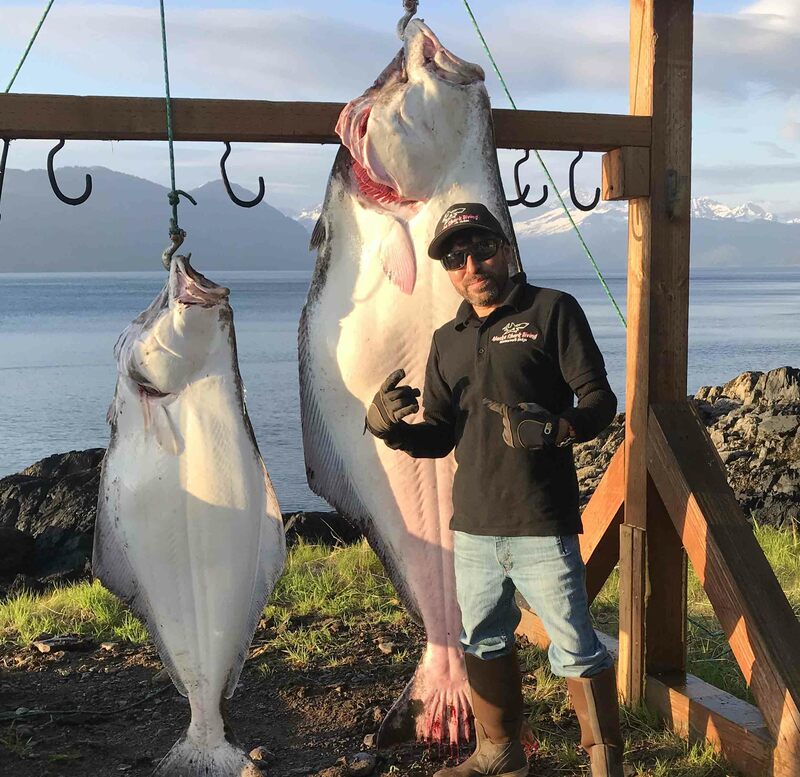 At Ravencroft, our truly remote location and easy do-it-yourself salmon and halibut fishing, keeps clients coming back year after year for fishing that literally starts at our dock. 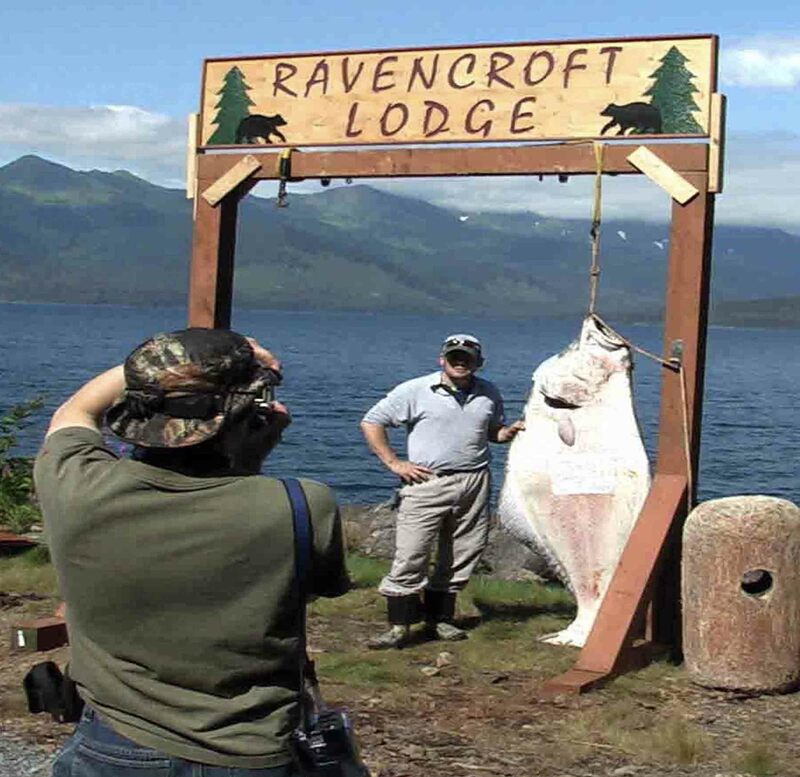 Join us at Ravencroft and fill your freezer with salmon, rockfish and halibut! 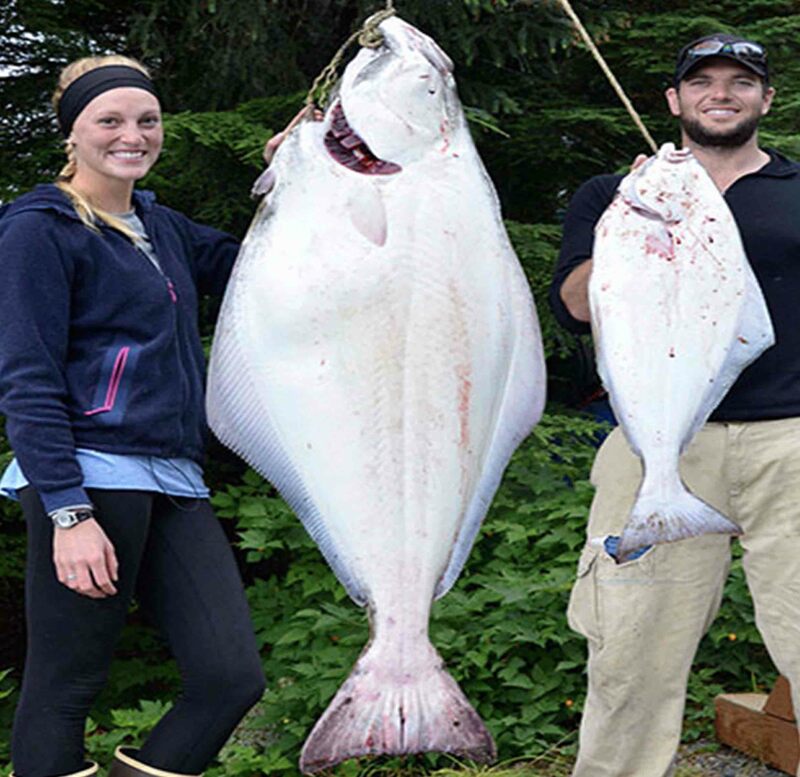 You'll quickly see why we're the best self-guided fishing destination in Alaska! Our Self-Guided fishing packages are less expensive than our Guided packages and designed for people with some fishing experience. Be your own guide, on your own schedule and quickly become an expert with fishing grounds within sight of this vacation lodge. The lodge provides an informative training/orientation which covers the operation of the particular fishing boat to be used, as well as all peripheral gear, safety equipment & radios, and safety procedures. Also included are discussions of the area's geography, weather, fishing hotspots, fishing methods, which can be as detailed as you request. 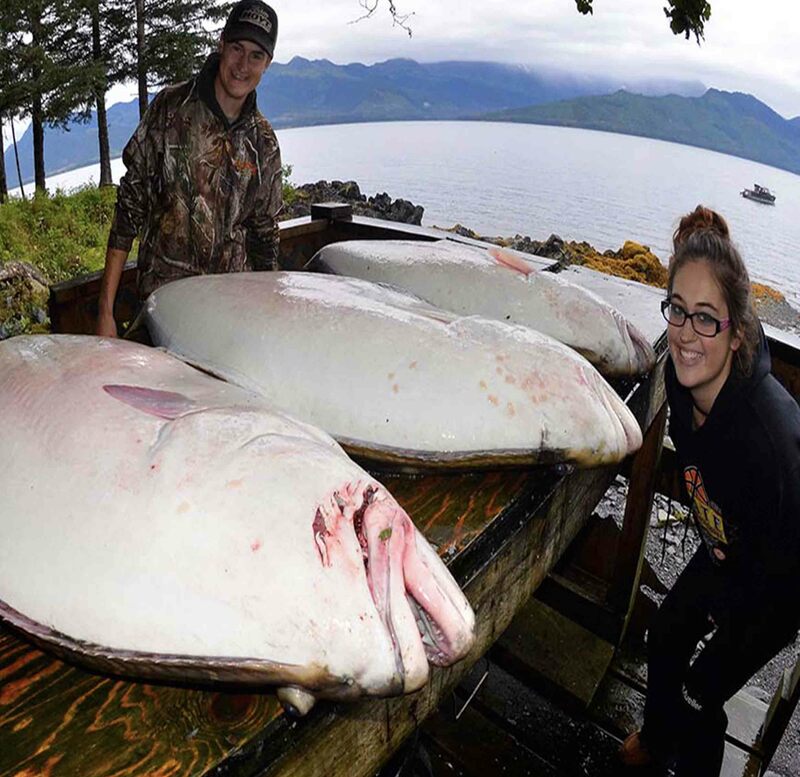 Since the lodge is located in protected water in Prince William Sound, guests will be pleasantly surprised at the relative calm waters that surround the lodge. There are no swells to contend with and guests usually refer to Port Fidalgo as "being on a lake". On most days the waters are flat and extremely enjoyable to fish on! On our worst weather days you can expect 2 footers, making this fishing package a self-guided fisherman's dream. 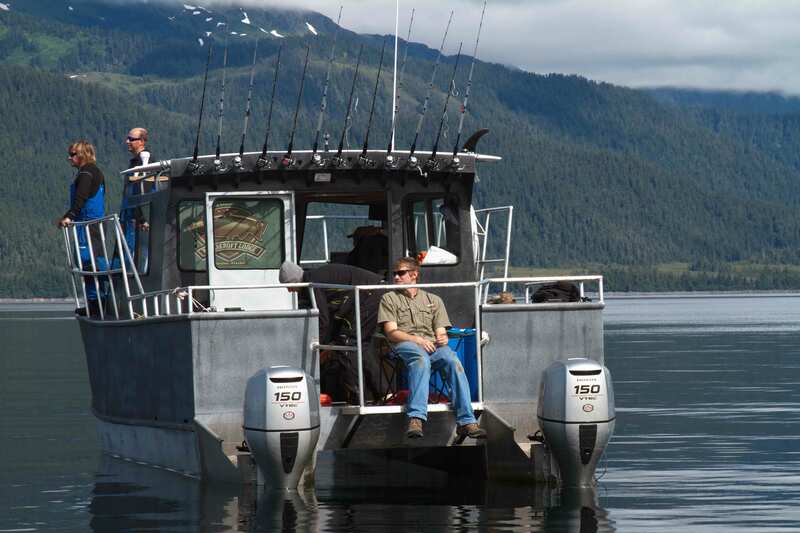 Although we are remote, even by other lodge standards, location is key for folks that don't want to battle the crowds or wait your turn for to slip your boat into the "fishing hole". There are no roads to this lodge and we are completely off the grid. But because of where we are, fishing pressure is extremely low and most groups will only encounter other guests while in Port Fidalgo. There are several species of fish that are available for self-guided fisherman that are found within a short distance from the lodge. 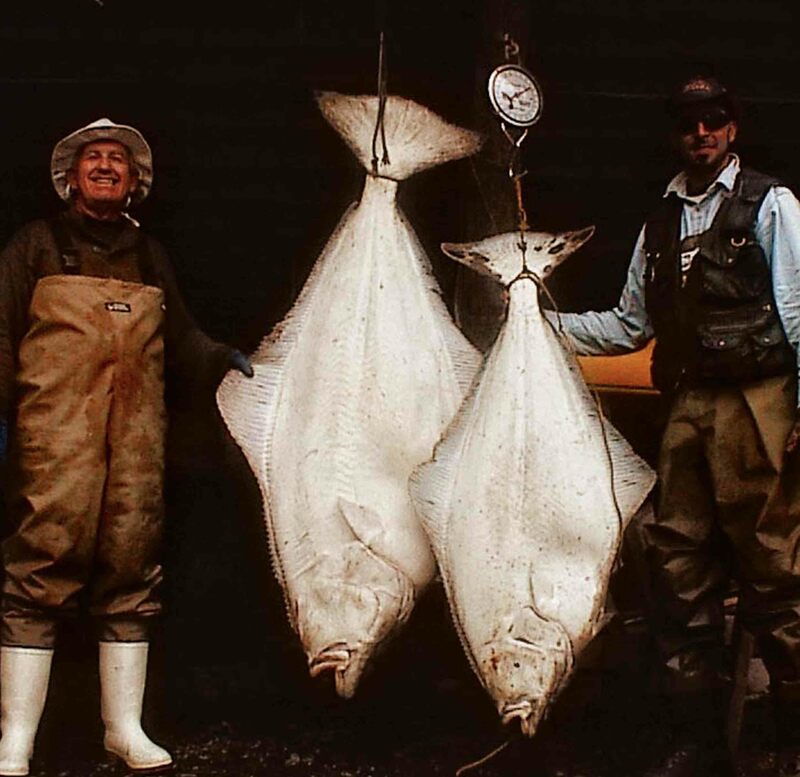 Bottom fish such as Halibut and Rockfish populate both north and south shores of Port Fidalgo. 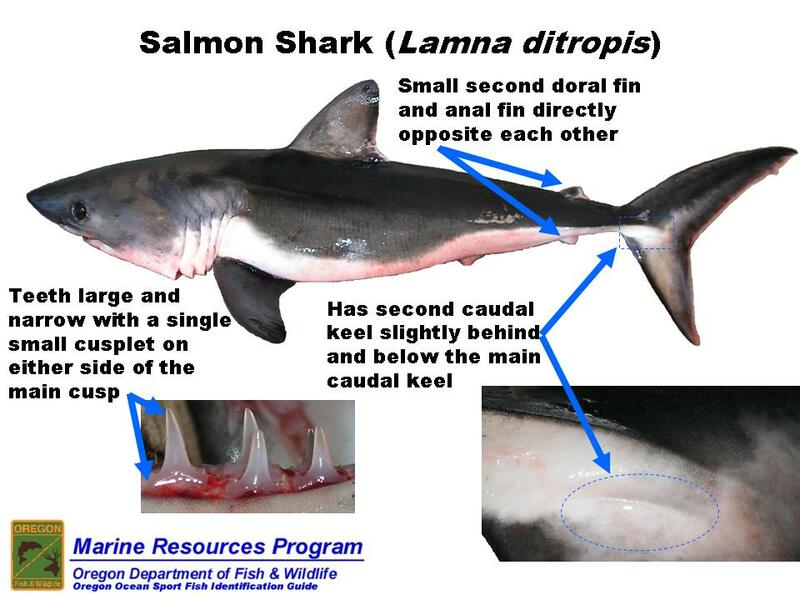 You'll find massive schools of migrating salmon throughout the sound, trying to spawn in every freshwater creek that inhabits the Sound. 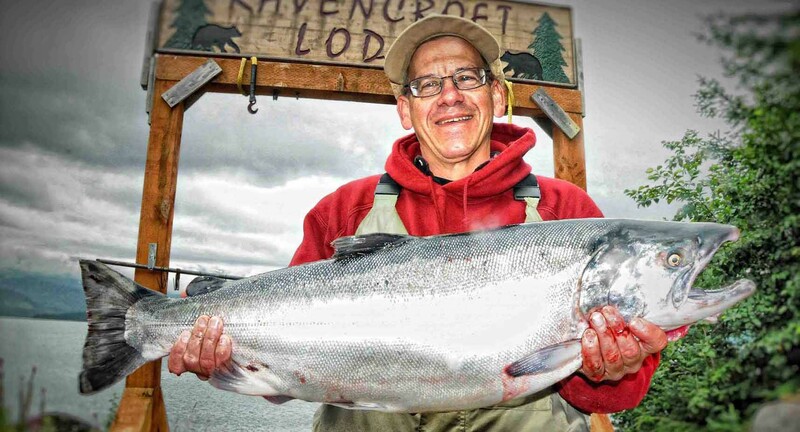 But what we sets us apart from other fishing destinations is our Silver/Coho Salmon run that's literally 5 minutes from the lodge! 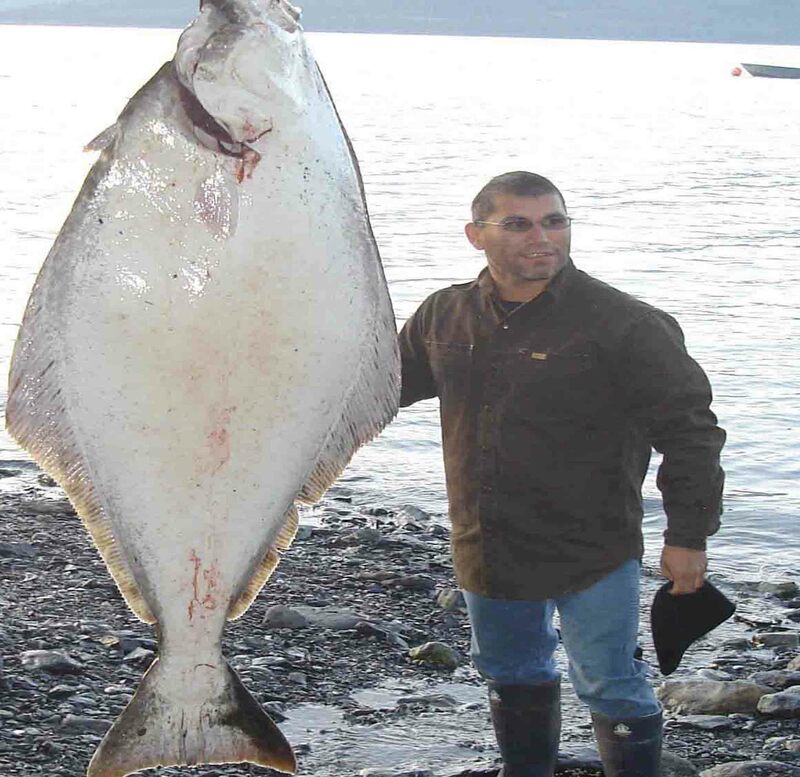 These are massive brutes that fight harder than any other species of salmon, with aerial battles not uncommon before landing a fish. There are two types of fishing styles for these fish, with one a more open ocean style of fishing that includes "jigging" with fresh bait. The second is later in the season that is done inside the cove and more of a cast and catch approach of fishing style. Smaller, light and bright lures work best here. But both are equally as fun and can even turn the most quiet and reserved outdoorsman, into whooping and hollering fish catching machines! Comfortable, heated bedrooms - double occupancy rooms with two single beds. Bathrooms & hot showers - accessed from the covered porch which surrounds the sleeping quarters building. Ravencroft Lodge's Guided Fishing package is designed for the person who wishes to relax and leave everything to us. He will pilot your fishing boat each day, taking care of tackle, bait/lures and maintaining a clean vessel for your group. He will also clean, package and freeze your catch at the end of each day. 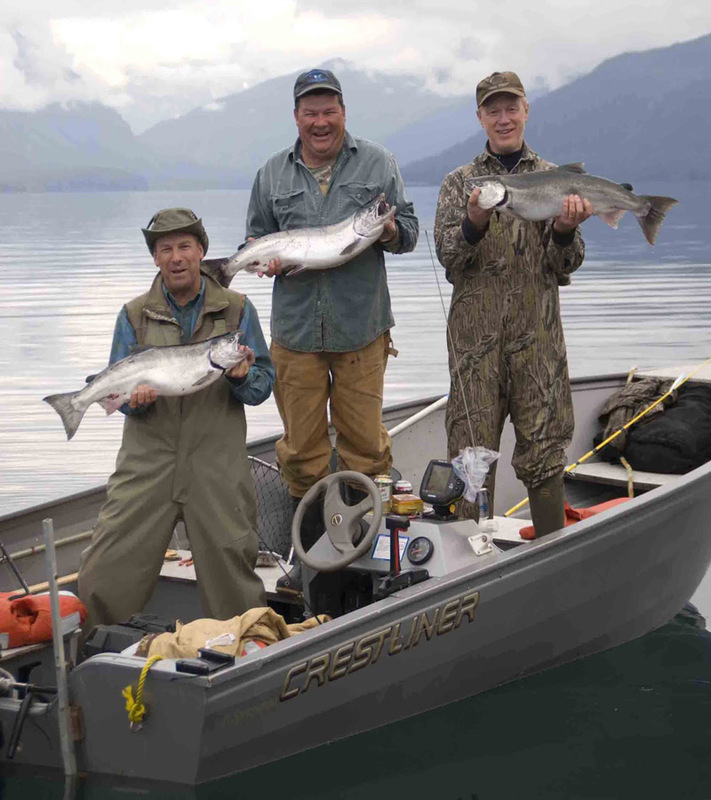 Fishing will be for Salmon, sea-run Dolly Varden Trout, Halibut and several species of Rockfish. 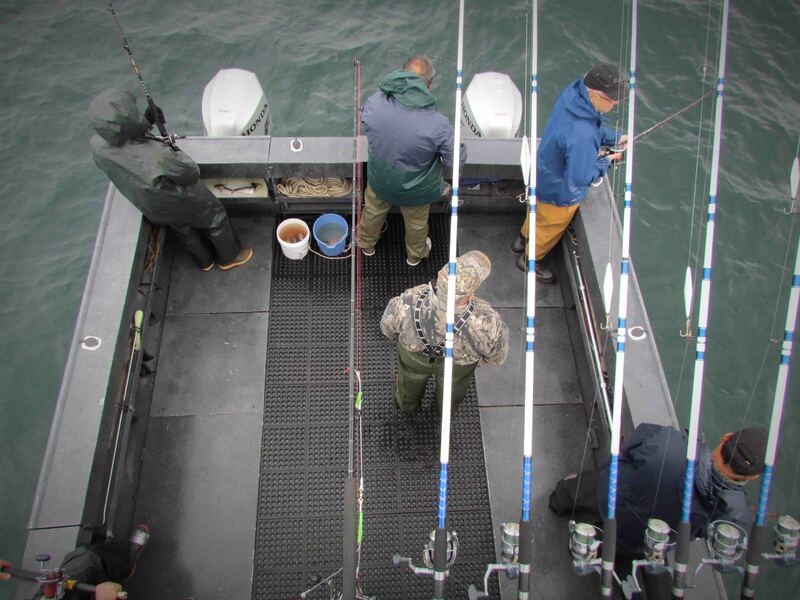 Guided fishing is done from our 30' StormCat Catamaran and/or from one of our 18' boats for smaller groups. Our catamaran offers a large rear deck that gives plenty of room for 6 fishermen, along with a heated cabin and private restroom. This is a large vessel with multiple area's to fish from. Choose your days and go Guided one day, then Self-guided the next! Ask us for more info (subject to open days/availability). Other personal expenses due to weather or delays in flights. Alaskan weather is unpredictable and can change hourly. Summer temperatures range from the mid-60's to the low 70's. Rain and showers are frequent in the during these months. Even on the sunniest days of summer, the temperature may feel cool. Layered clothes is a good idea, and you will find that long sleeve shirts feel good on most days. A light jacket will probably come in handy. Good rain gear is a must, along with warm head gear. Good rubber soled shoes, or rubber boots. Be sure to bring a camera, flashlight, binoculars and your personal items. (Fly fisherman are welcome to bring their favorite fly rod for some extreme fighting action).